We are going to Grandma’s house for the holidays this year. We will be there for several days, so I need to prepare my list for everything we need to bring for the kids. They like to bring their own bags, so I like to pack ahead of time with their help and make sure we have everything we will need. It is already stressful enough being away from home without having to go out and grab things that you forgot. Mason will be the challenge this year! He is mid-potty training so we have a few accidents here and there. That is okay when it is in their own bed at our house, but not too cool when it is in Grandma’s bed. I wanted to make sure that we were prepared! I did not want to have any accidents that would not be easily cleaned. That is where the GoodNites disposable bed mats comes in! 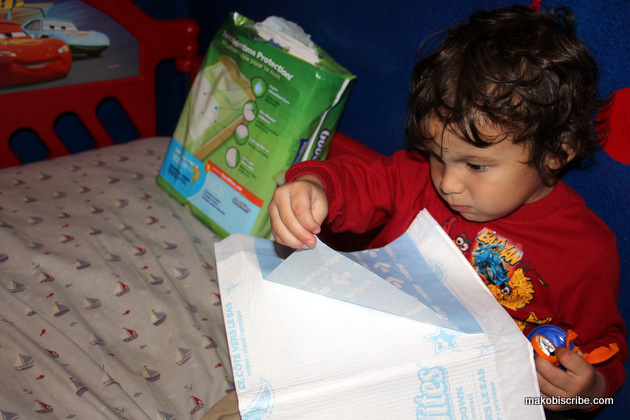 Huggies makes the GoodNites Disposable Bed Mats and they are perfect for your little one that is potty training. Most children when away from home have more bedwetting accidents, but I don’t want to put him back in diapers for fear he might regress. I have been so busy lately, I forgot them the last time I was at the store. Thankfully, they sell them online and I was able to pick them up site-to-store on my next trip in town. 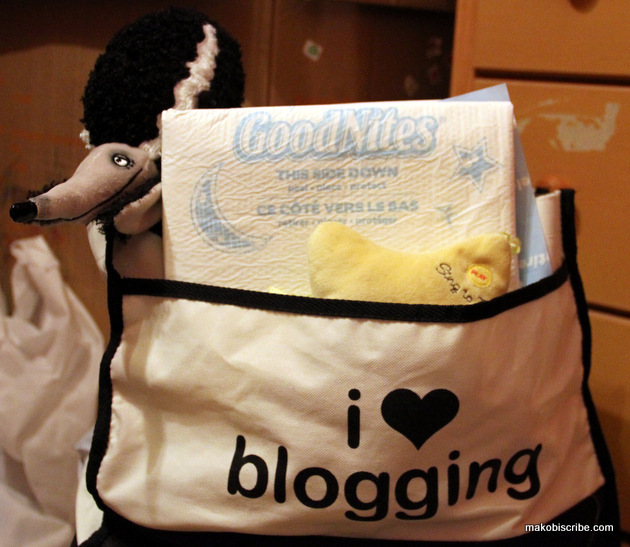 The GoodNites Disposable Bed Mats are really easy to apply. You just peel off the sticker backing and secure the pad in place on top of the mattress. This is an awesome and necessary feature for kids like mine who travel a ton in their sleep. I swear if he was wearing a pedometer he would walk 5 miles a night. 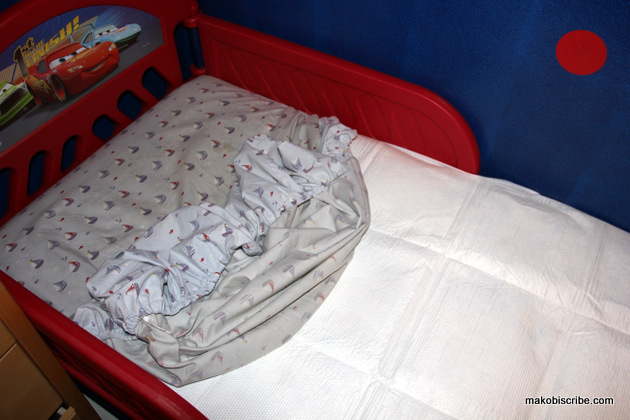 Once the GoodNite bed mats are applied, they pretty much cover a whole toddler bed, and they are big enough to make sure a regular size bed is covered as well. It sure does give me a peace of mind knowing that my Grandma’s furniture will be protected while we continue our nighttime training with my children. 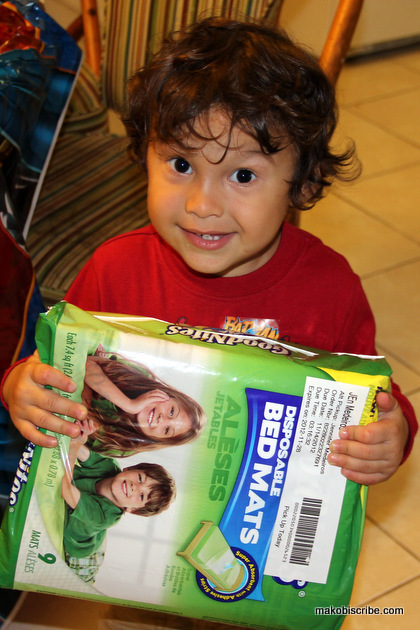 Looks like you found the perfect solution and Mason looks so happy to be helping! I hope you enjoy the holiday and have a wonderful time at Grandma’s house! These are a great idea for little ones when they are potting training. I have a two year old grandson who is starting, and these will be great for him. Your little guy is a cutie! !